(HARLINGEN) – Katlyn Nuncio mixed baking soda, salt and water to watch her rocket launch during “Journey to Mars,” a first-of-its-kind event hosted by the Texas State Technical College Challenger Learning Center. 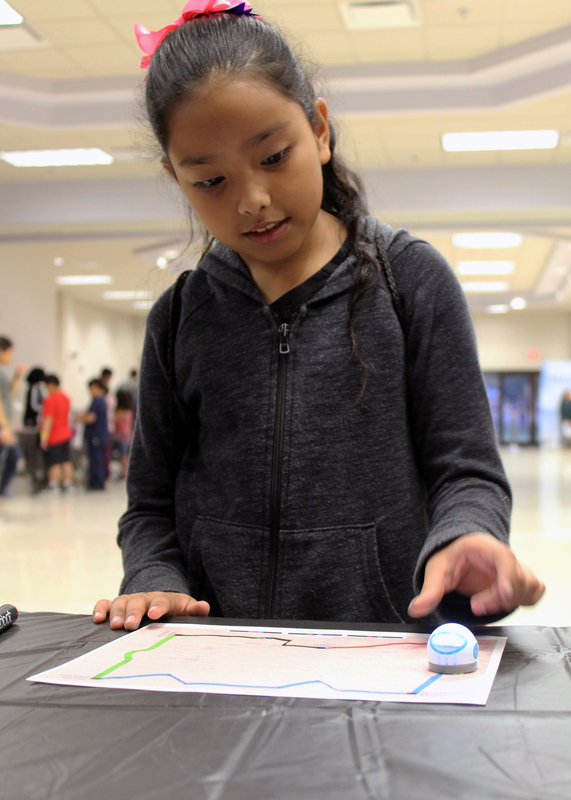 The half-day event, which was free and open to the public, was attended by more than 200 people. It was organized in partnership with NASA to celebrate the center’s 5th and NASA’s 6th anniversaries. 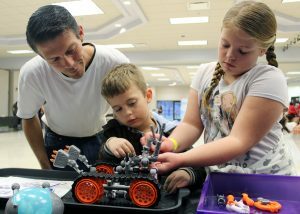 The event included hands-on activities for all ages from space crafting and gravity affects to Mars rover building and Mars habitat creating. Every booth was divided into phases, and resembled a space mission set up. Planetarium shows were also available throughout the morning. For 11-year-old Aiden Barrera from San Benito, “Journey to Mars” was a great way to celebrate his birthday. The fifth grader said he had the most fun creating a home for a Mars extraterrestrial creature using paper plates, paper cups, paint and glue. “Journey to Mars” was a result of a signed NASA Cooperative Agreement that was introduced to the TSTC Challenger Learning Center by the National Challenger Center. Through this agreement, TSTC’s center will receive upgraded hardware and software to add new missions to its lineup. Mendoza also said the community can expect to see more free, community events that provide educational opportunities in the near future. For more information on TSTC’s Challenger Learning Center or to book a mission, call 956-364-4517.